Director Denis Villeneuve has become one of the next best directors in the short time of three years, debuting impressive features like Prisoners, Enemy and Sicario, as well as being tapped to direct the highly anticipated Blade Runner sequel. Before we see Harrison Ford return to another of his iconic characters, Villeneuve teamed up with Amy Adams, Jeremy Renner and Forest Whitaker for the sci-fi alien thriller Arrival. 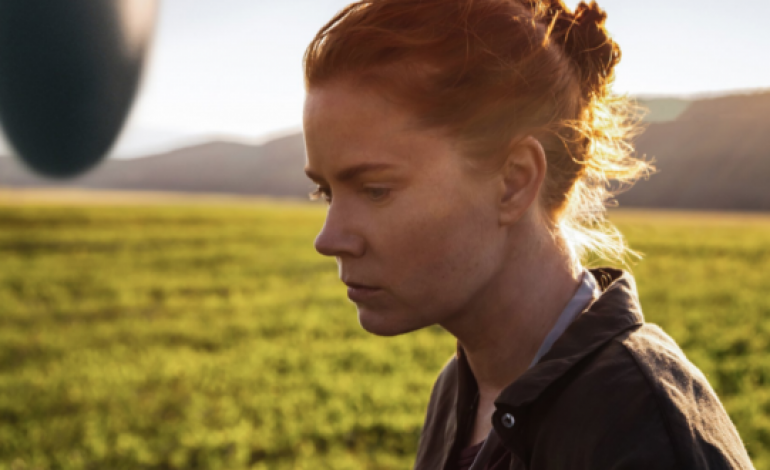 Amy Adams stars as a linguist who is recruited by the military to determine whether alien invaders that have landed around the world are peaceful or dangerous. Arrival was originally titled Story of Your Life, which is based off the Hugo Award-winning short story by Ted Chiang. Based on the grounded realism of the trailer, it seems that Villeneuve was shooting for a Midnight Special feel rather than the overblown CGI of Independence Day: Resurgence. Arrival hits theaters on Nov. 11. Watch the teaser below, and a full trailer will be released on Aug. 16.